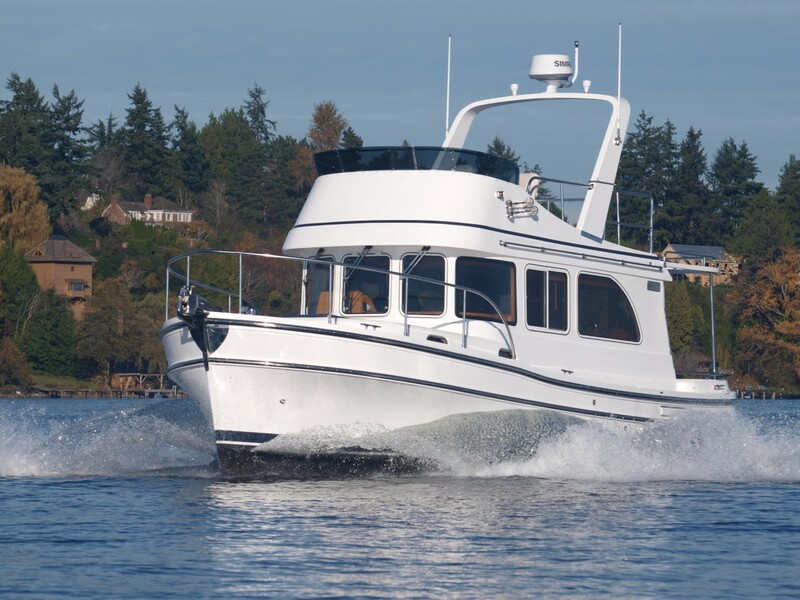 The Camano 31 is no longer, but its tradition in the cruising market lives on, to some degree, with the Helmsman Trawlers 31 Sedan. 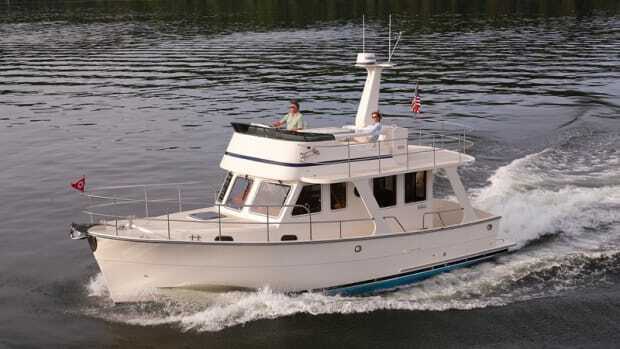 Built on the same semi-displacement hullform, this little single-stateroom cruiser still bears plenty of resemblance, at least aesthetically, to its predecessor. But inside is where the action is. Helmsman Trawlers (Note: this was corrected from the printed version of the story. 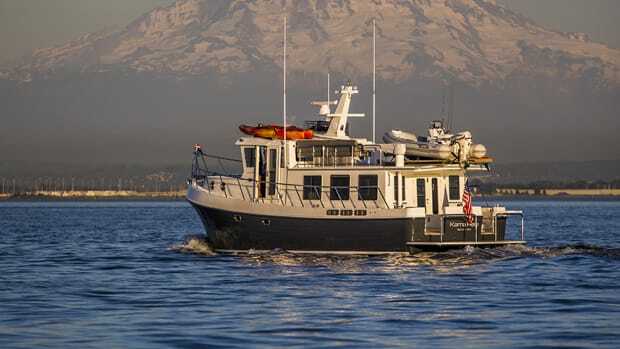 ), which bought the tooling for the Camano line, has made a concerted effort in the redesign to bring the new 31 up to modern-day standards of premium fit-and-finish, amenities, and performance. When the tooling for the Camano was acquired by Waterline Boats, one of the only things that they didn’t change was the hull design. Proven and time-tested, the 31 Sedan sits on the same 1990 Bob Warman-designed(Note: this was corrected from the printed version of the story.) semi-displacement hull as all Camano-branded boats. “There was no need to change a good thing,” said Scott Helker, Waterline’s owner. 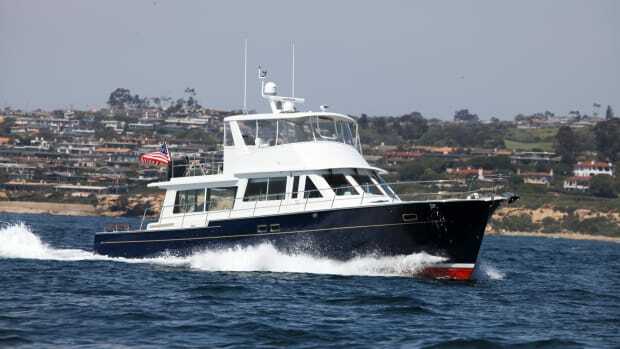 “The hull is stable underway and versatile in a wide range of speeds up to 13 knots.” The hull construction is solid fiberglass below the waterline; vacuum-bagged, resin-infused in the topsides and superstructure. Total dry weight is just 12,000 pounds. The most significant changes to the original design were made to the house in order to improve headroom and overall interior volume. 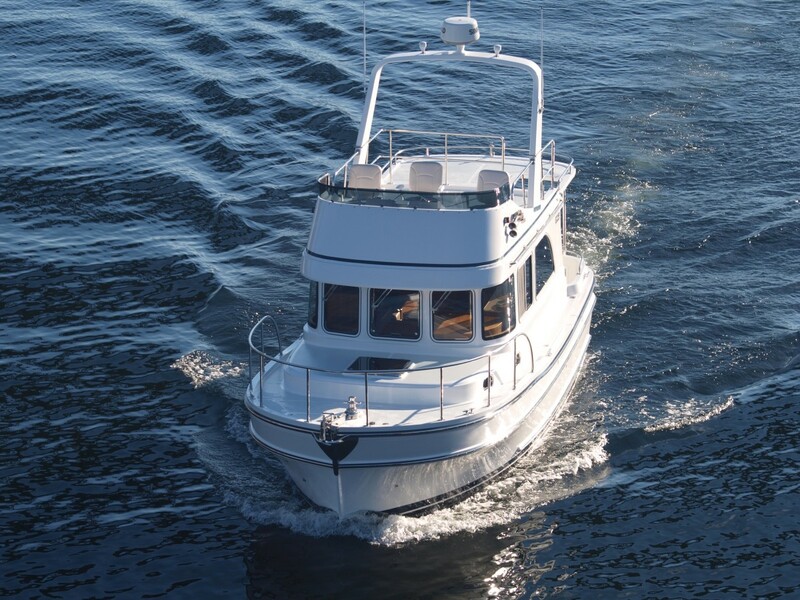 Additional changes were made to how water drains from the flybridge, and the interior windows and frames were re-configured to enhance visibility from the helm and saloon. While re-engineering other parts of the Camano, Waterline found a perfect power pairing for the 31 Sedan. Hyundai may not be a recognized leader in marine propulsion in the United States, but the Korean company is a leading supplier of motors for commercial markets in Europe, and even supplies the power for 40 boats in the Venetian vaporetti fleet. After becoming enamored with the quiet-running engine, Helker signed up to install the Seasall S270 V-6, electronically-controlled common-rail 3.0-liter diesel in the first few 31s. Hyundai configured the 270-horsepower motor specifically for this application (More info on the Seasall Engine here). The engine is quiet and sits in a smartly-designed engine space under the sole. Easy access to the impeller, along with a built-in oil pump, make routine maintenance and pre-trip engine checks a smooth operation. 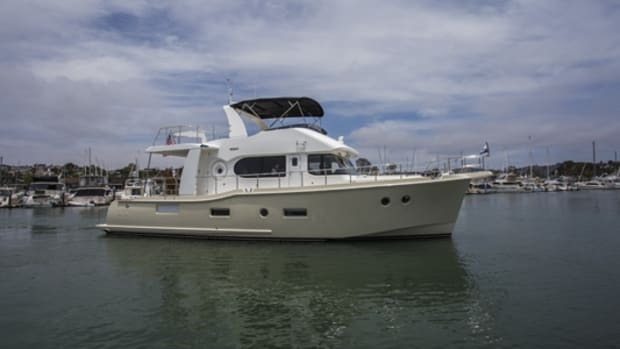 Although you may not expect to find an easily accessible engine aboard any 31-foot trawler, space on the 31 Sedan is generous. 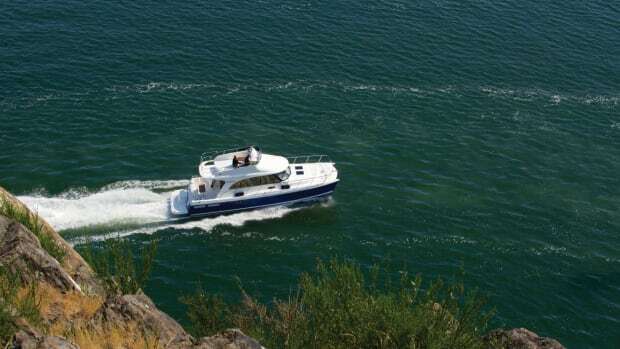 On our test boat, wave and sea noise is well-attenuated despite the boat’s light displacement, and due to the smooth-running engine, the decibel levels in the saloon were fairly consistent throughout the speed range. At a reasonable cruising speed, our 2,300 rpm test yielded 8.5 knots with a fuel burn of 3.5 gph and 77 decibels at the helm. Drop down to 6 knots, and the consumption sits around 1 gallon per hour. The 31’s sedan style offers owners a continuous level from the boarding cockpit to the helm. 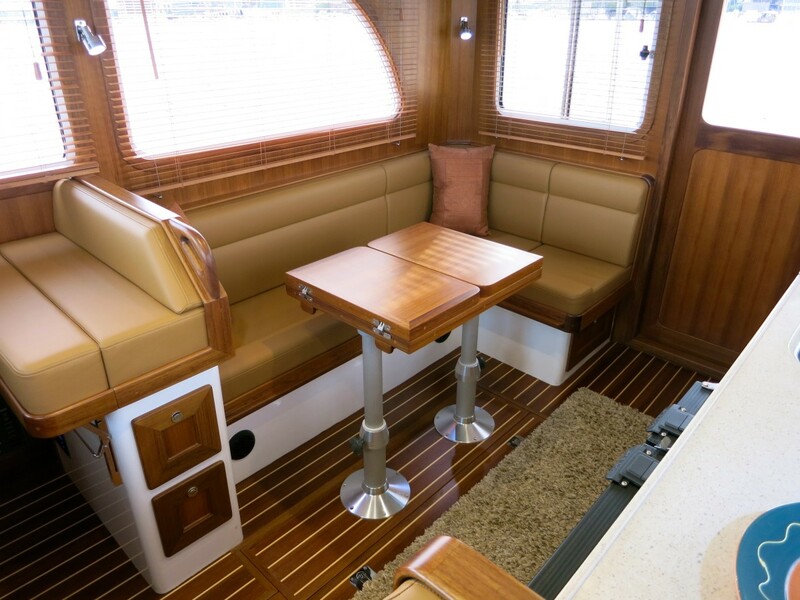 Should you opt to not take your morning coffee on the flybridge, the cockpit would fit two deck chairs and a small table—and not too much more. Onboard space is optimized to lean toward maximizing interior volume, though side decks are scalable for the agile, helped by a generously long stainless handrail that runs the length of the house. 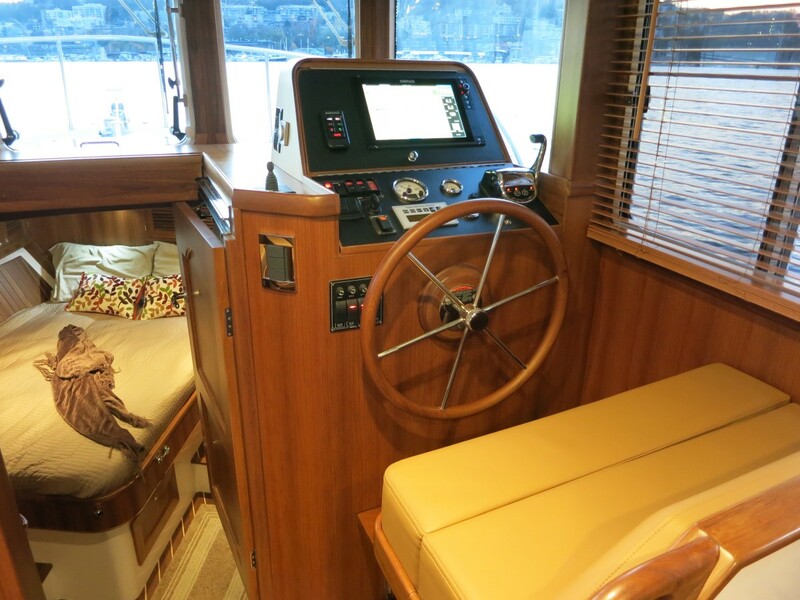 A cockpit ladder, best scaled in calm seas, leads to the flybridge, and once there, you’ll discover space for up to three pedestal chairs, one at the centerline helm, and two flanked to port and starboard. There is no built-in furniture up top, but there is ample room for freestanding deck chairs. 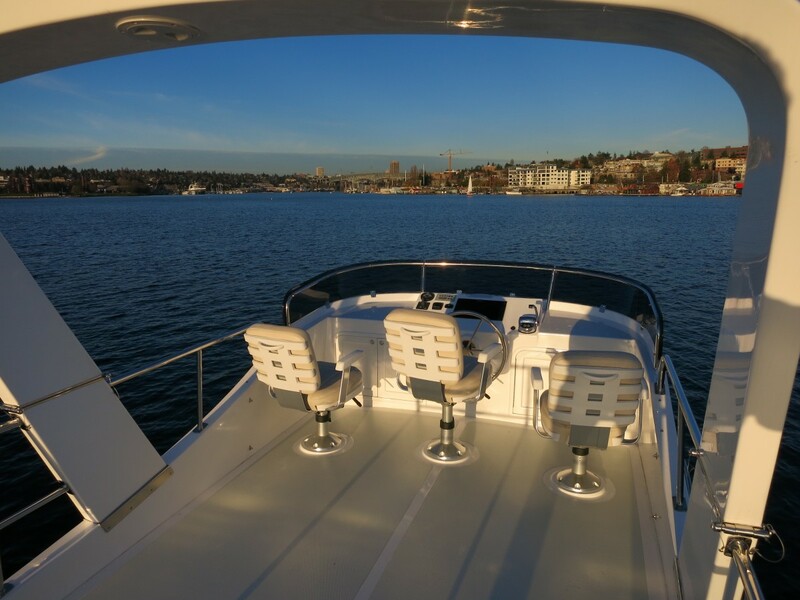 Since the flybridge is set far forward, visibility from the helm is good, whether you’re up top or in the house. Combined with a flat running attitude, you’ll never be lacking sightlines. 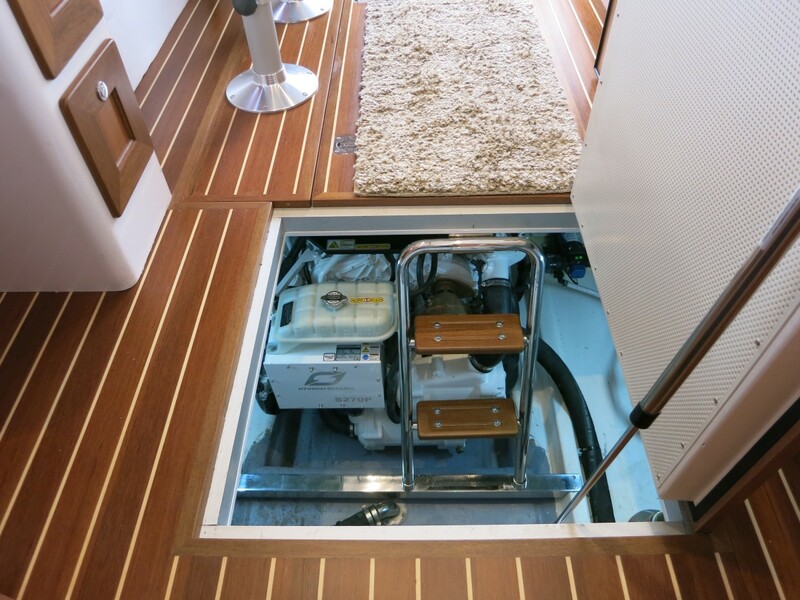 Stepping inside, headroom and interior volume are the most obvious wins with the new boat. To starboard lies an L-shape settee opposite a bench seat. 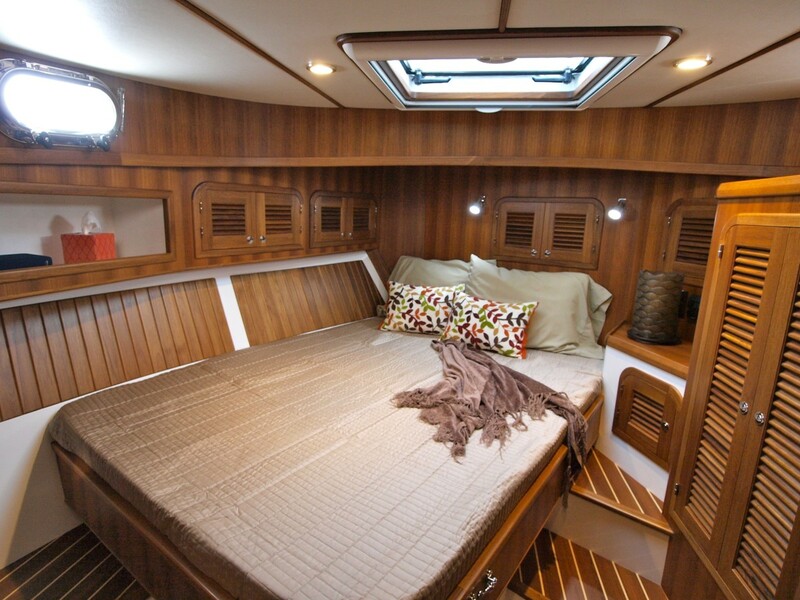 The settee table drops to allow sleeping accommodations for two more adults, and the berth itself is plenty long for that purpose. 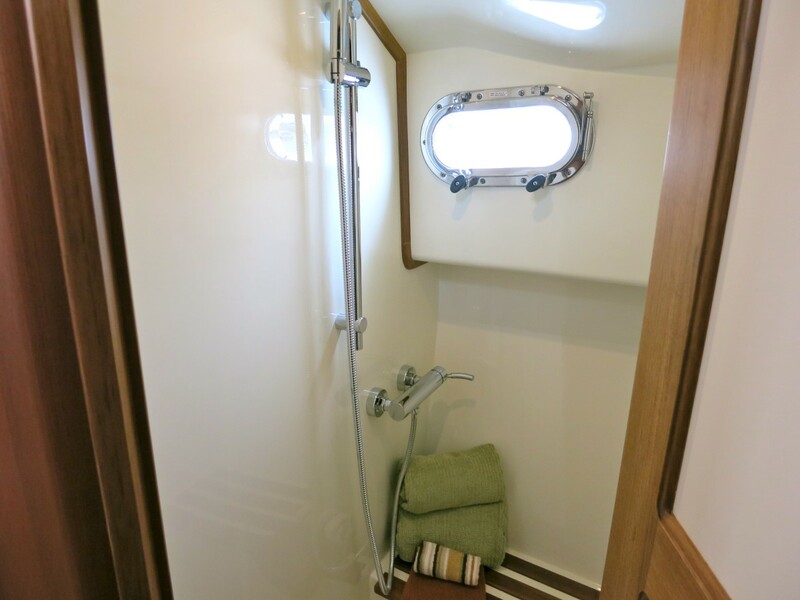 Unwilling to compromise anything with her interior volume, the head and separate stall shower complete the package and are rare to find on a boat of this size. (Note: this was corrected from the printed version of the story.) 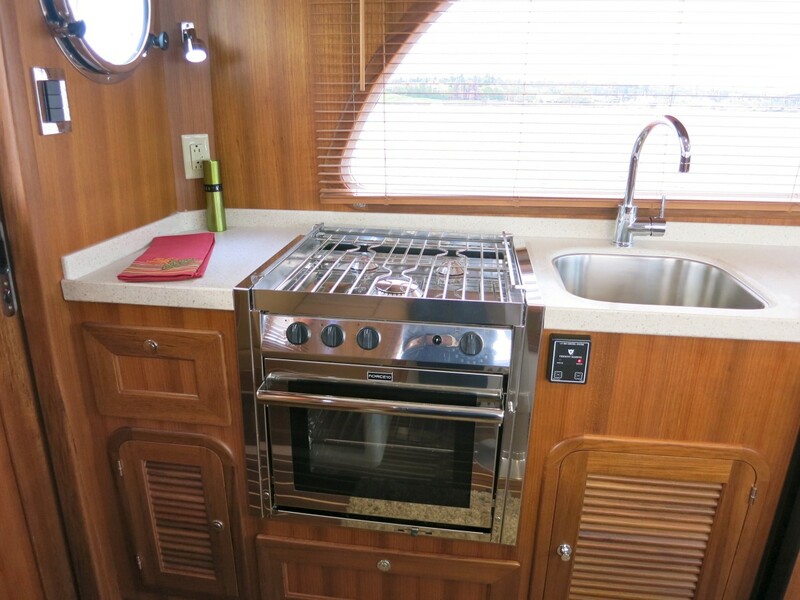 The only cabin on the boat is really the shining star, offering an off-center queen berth that provides room for hanging lockers to starboard. 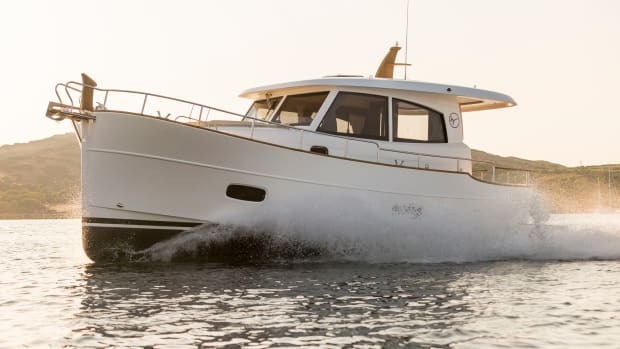 An oversize egress/hatch and portlights shed plenty of natural light in the cabin, and the fit-and-finish is on par with yachts with much greater sticker prices. Other interior features include a propane cooktop and a separate fridge/freezer that is another upgrade from the original. 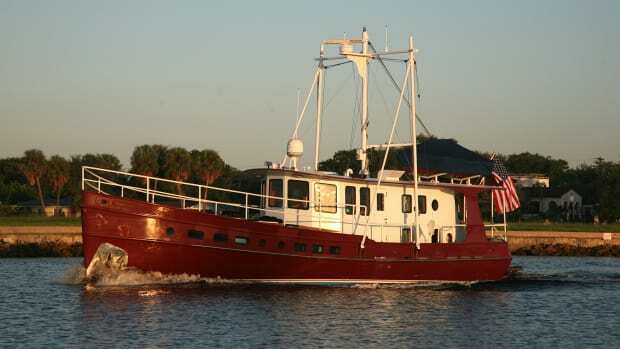 Flybridge of the Helmsman Trawlers 31 Sedan. The comfortable and well positioned helm station on the 31 Sedan. No wet head on this 31 foot boat, she features a separated shower. 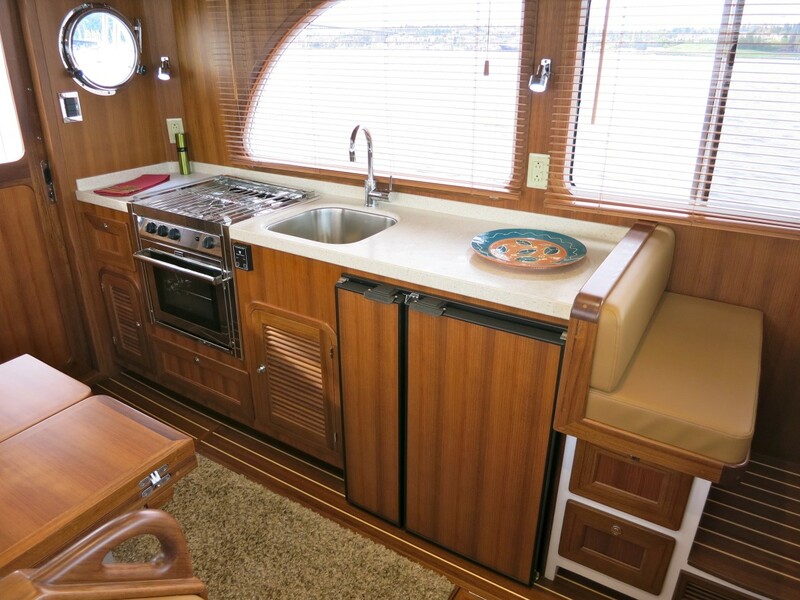 Well designed Euro-style galley with amazing overhead storage (not seen here). 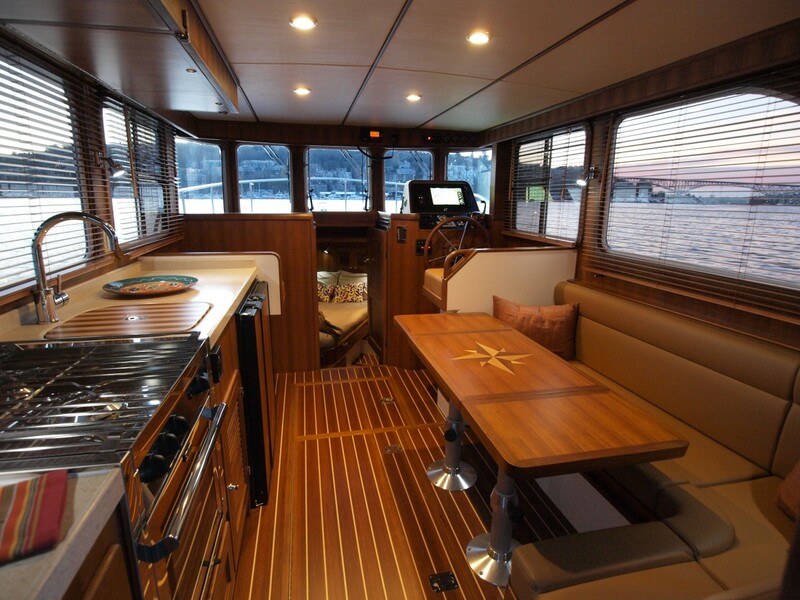 Full range and oven aboard this Helmsman Trawlers 31 Sedan.